This week’s Curmudgeon’s Corner is the annual predictions show! 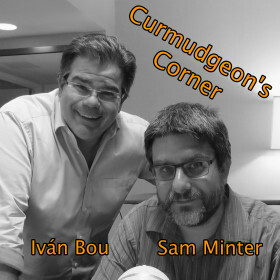 Sam and Ivan give all their predictions for 2017 in the realms of politics, the economy, technology, international issues, and a hodgepodge of other random things. Basically, we do predictions on just about anything we can think of. How will we do? Subscribe and listen to the podcast all year long to find out! Click below to listen or subscribe… then let us know your own thoughts and predictions!